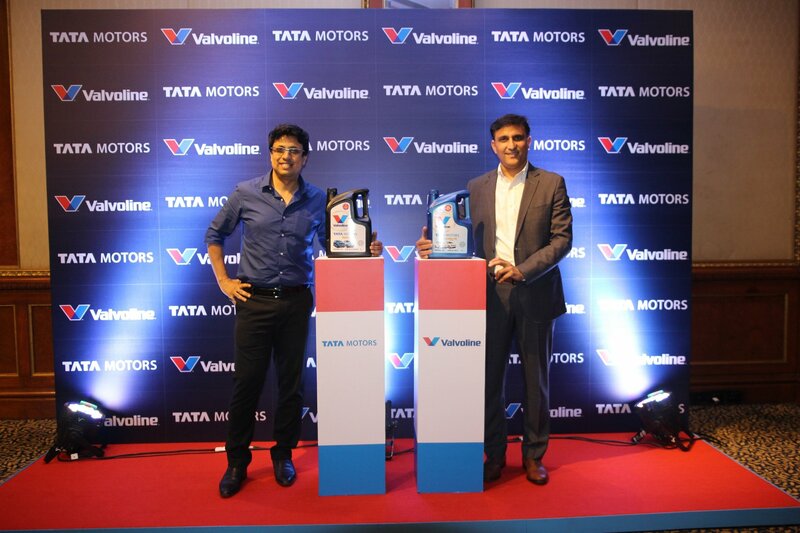 Mar 29th 2019 – Valvoline Cummins Private Limited (VCPL), and Tata Motors announced today the launch of their co-branded lubricants for the passenger cars segment. 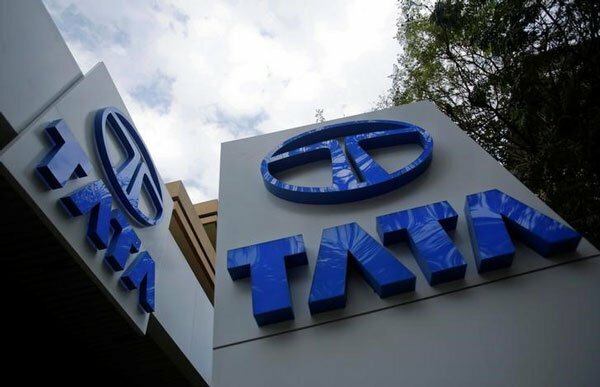 These lubricants will be branded as Tata Motors Genuine Oil and will be available for all Tata Motors cars in the retail market. The launch of this co-branded lubricant was attended by Mr. Subhajit Roy – Senior General Manager & Head Customer Care (Domestic and International Business), PVBU, Tata Motors, Mr. P. Shanmugasundaram – Head Service Marketing, Mr. Sandeep Kalia – Valvoline Cummins CEO, Mr. SK Mukherjee – Chief Technical Officer VCPL, Mr. Jitesh Mehta – Director Retail Sales & Marketing, and Mr. Rupesh Kushwaha – VP OEM partnerships VCPL. Valvoline Inc. (NYSE: VVV) is a leading worldwide marketer and supplier of premium branded lubricants and automotive services with sales in more than 140 countries. Established in 1866, the company’s heritage spans more than 150 years, during which it has developed powerful brand recognition across multiple product and service channels. Valvoline ranks as the No. 3 passenger car motor oil brand in the United States (U.S.) DIY market by volume. It operates and franchises more than 1,300 quick-lube locations and is the No. 2 chain by number of stores in the U.S under the Valvoline Instant Oil Change℠ brand and the No. 3 chain by number of stores in Canada under the Great Canadian Oil Change brand. It also markets Valvoline lubricants and automotive chemicals, including the new Valvoline™ Modern Engine Full Synthetic Motor Oil, which is specifically engineered to protect against carbon build-up in Gasoline Direct Injection (GDI), turbo and other engines manufactured since 2012; Valvoline High Mileage with MaxLife technology motor oil for engines over 75,000 miles; Valvoline Synthetic motor oil; and Zerex™ antifreeze. To know more, visit www.valvoline.com. Cummins Inc., a global power leader, is a corporation of complementary business segments that design, manufacture, distribute and service a broad portfolio of power solutions. The company’s products range from diesel and natural gas engines to hybrid and electric platforms, as well as related technologies, including battery systems, fuel systems, controls, air handling, filtration, emission solutions and electrical power generation systems. Headquartered in Columbus, Indiana (U.S.A.), since its founding in 1919, Cummins currently employs approximately 62,610 people committed to powering a more prosperous world. Cummins serves customers in about 190 countries and territories through a network of some 600 company-owned and independent distributor locations and approximately 7600 dealer locations. Cummins earned $ 2.14 billion on sales of $ 23.77 billion in 2018. To know more, visit www.cummins.com. Follow Cummins on Twitter atwww.twitter.com/cummins and on YouTube at www.youtube.com/cumminsinc.